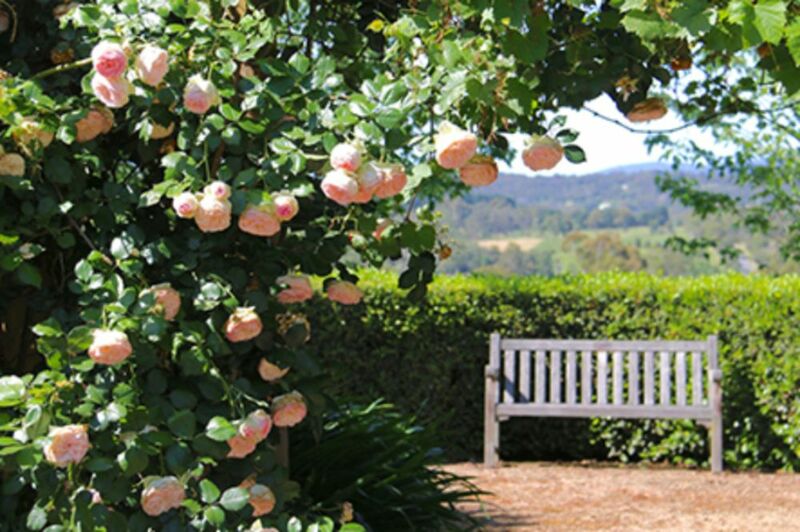 Ridgefield is a country garden of about 1.2ha bordering a vineyard with beautiful views in all directions. 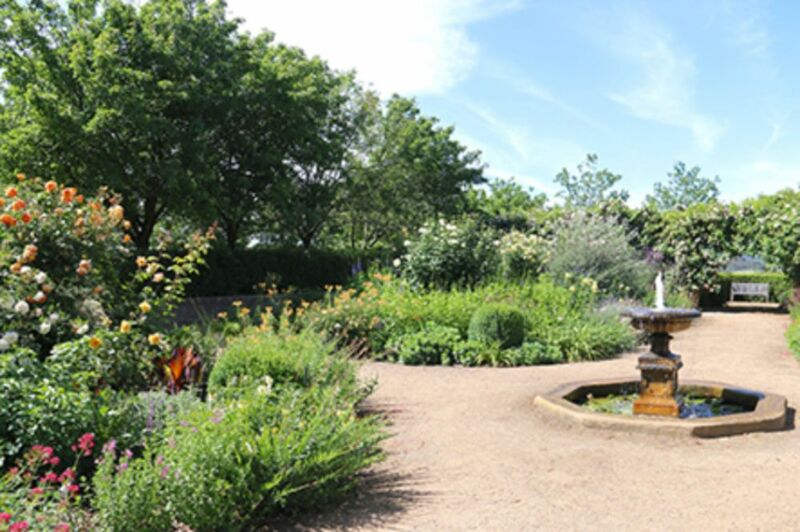 It was designed by Robert Boyle in 1997 and although the garden has evolved in response to the climate and the tastes of the local wildlife, the bones of the garden still bear his hallmark today. Elegant walkways lead down a terraced hillside, making the most of beautiful outlooks, yet providing sufficient wind breaks to afford some protection to the garden. 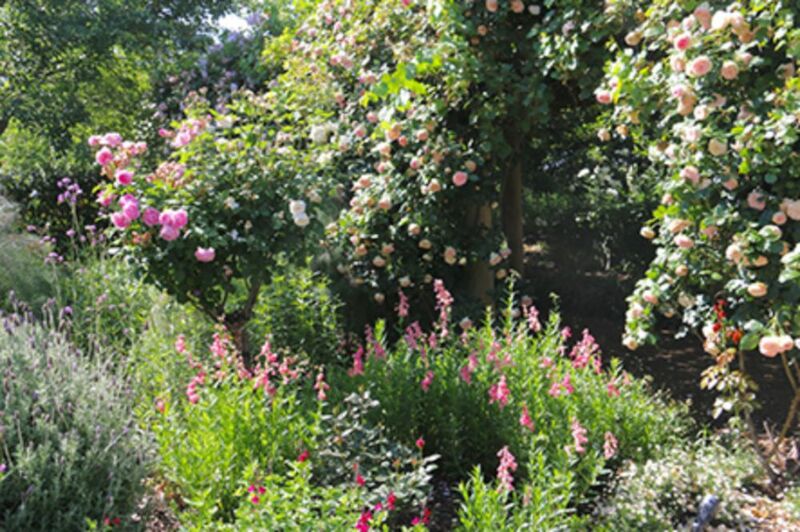 In the formal part of the garden there are neat box hedges, generous plantings of roses, salvias and penstemmon and clipped westringia balls. 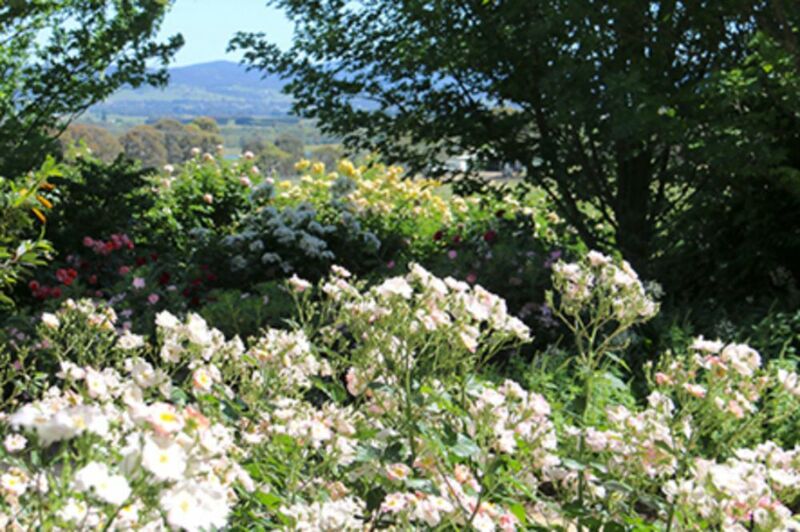 The roses have thrived so much that some 450 are a picture in spring and autumn. 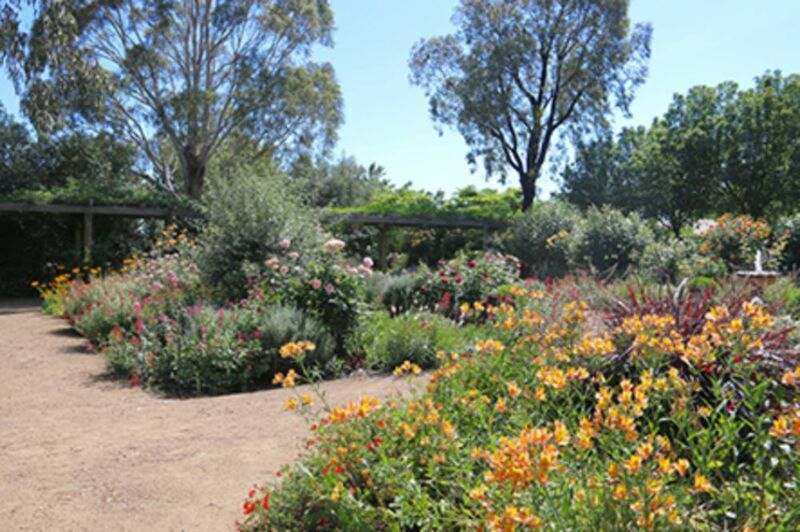 Deep beds filled with shrubs and drought tolerant perennials surround the house and a series of Mediterranean- style courtyards provide shelter, no matter where the weather is coming from. Long colonnaded terraces link the house, garden and vineyard. Visitors will also be able to explore a birch walk leading to a crab apple lawn, a croquet law and a walled garden. An orchard and vegetable garden provide ample supplies year round. Visitors can enjoy tea, coffee, scones and a sausage sizzle. 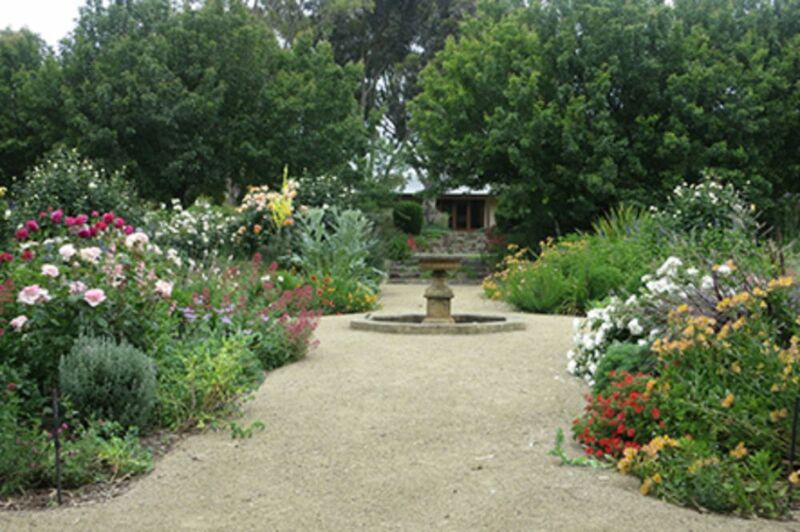 The garden is opening in support of the Gruyere CFA. *With thanks to Kim Woods Rabbidge for permission to reproduce her photographs.